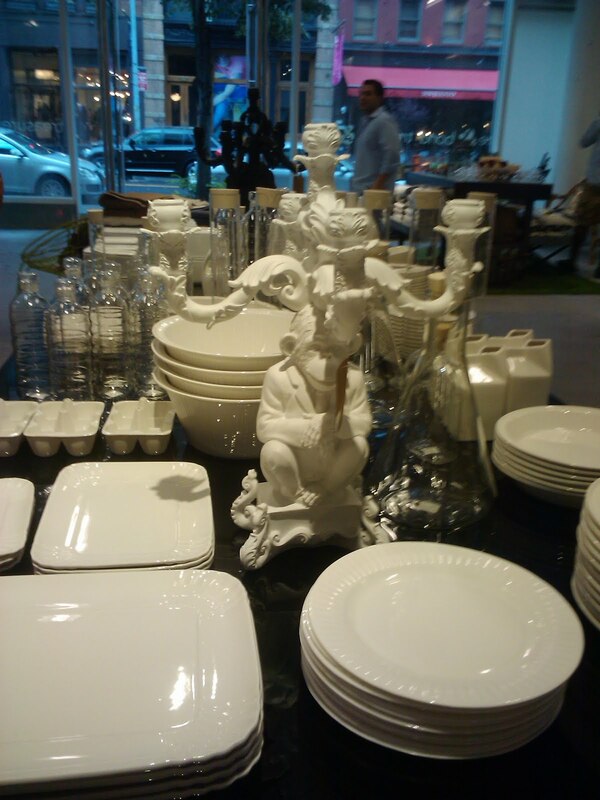 PORTEmaus: Fashionably Delicious: Treasure & Bond, marrying retail and charity with style and sophistication. Fashionably Delicious: Treasure & Bond, marrying retail and charity with style and sophistication. Welcome to installment number two of Fashionably Delicious. We are ecstatic about the response to our first piece in which we looked at the Prospect Park Food Truck Rally, and today will be the first piece of our fashion side. Once again we strive to find new and interesting examples of food and fashion that push the status quo and attempt to be at the forefront of their respective genres. 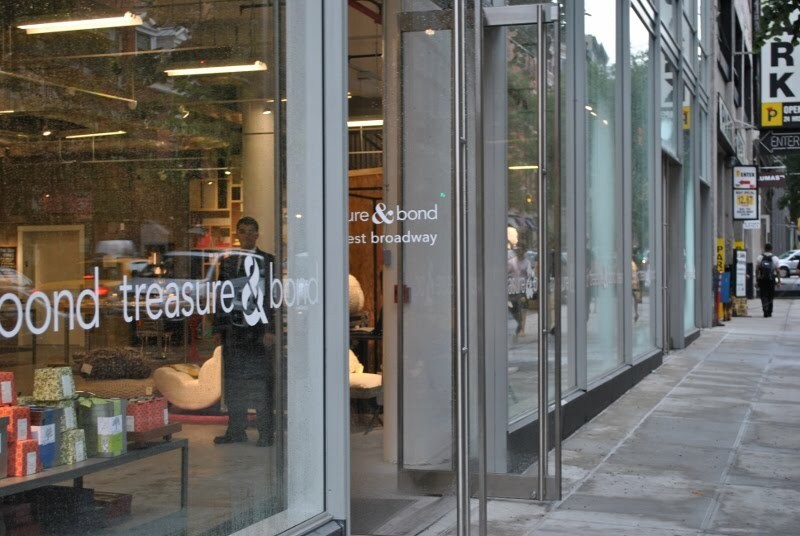 Today we will look at Nordstrom's new concept store, Treasure & Bond, in New York's best shopping neighborhood Soho. 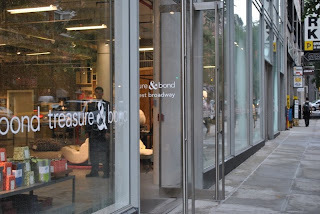 Treasure & Bond is a new venture from department store giant Nordstrom. Its core concept is that 100% of its profits will go directly to charity after cost. 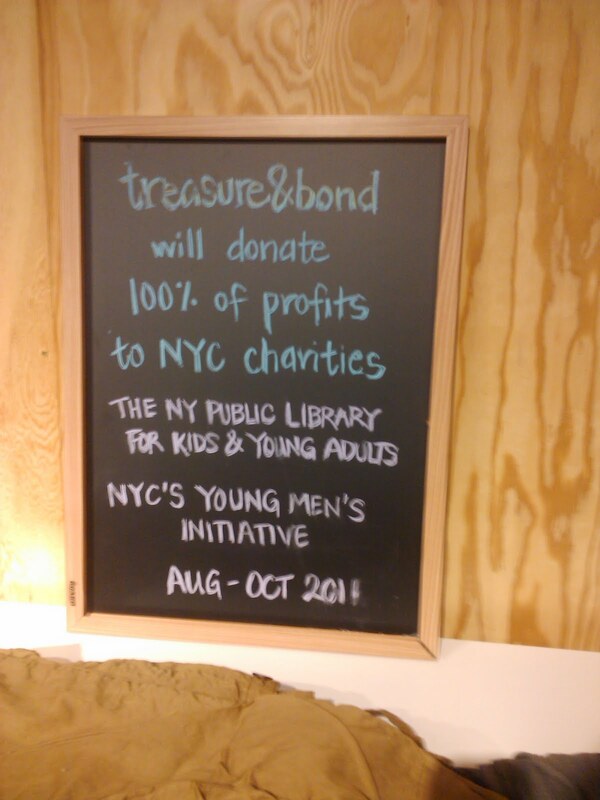 Those charities will rotate every quarter, the first being the New York Public Library specifically programs for young adults, and the New York Young Men's Initiative. The idea of blending retail and charity is not entirely new. Product Red, which is dedicated to fighting AIDS in Africa is a collection of products which donate up to 50% of the profits to its cause. 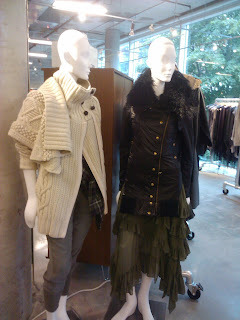 They have had success with partnerships such as Apple, The Gap and Armani. Toms, which is currently experience a huge boom is dedicated to providing footwear to poverty stricken children in Africa. So while these two examples should be commended, Nordstrom decided to take it one step further. I have never seen such dedication from a major retailer, pledging to contribute 100% of its profits makes this store a unique endeavor in the very crowded retail hemisphere. For such a unique store concept to succeed it would need the proper location, naturally. Soho is the mecca of creative and unique shopping experiences, that still are accessible to the everyman. People come from all over the world to shop in Soho, because it is the place where you see major retailers at their best. Not necessarily biggest, but their best. The Gap houses one of only a few 1969 stores, dedicated to denim and offering up exclusive styles not even found in their flagship locations in Midtown. J. 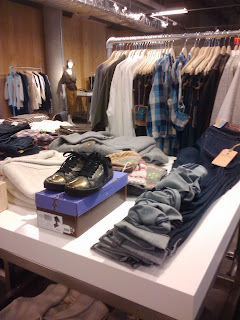 Crew has one of three concept Men's stores, as well as the modern boho focused Madewell. Soho is home to the (for now) only Uniqlo location in America, which offers up affordable Japanese style, think H & M without being TOO trendy. That's just a few, it also had the pop up Piperlime store, a CONVERSE store which allows you to customize your own pair of Chucks, and many many more. These are all places that offer familiarity and creativity in one location. 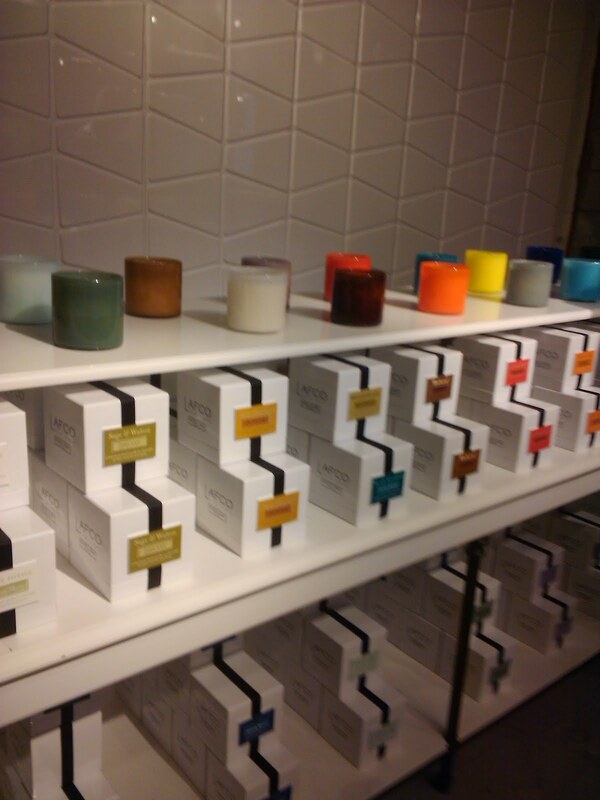 These stores push the envelope of merchandising to give people a new shopping experience. Treasure & Bond is no exception. It takes the idea of the department store and brings it in to the modern age. 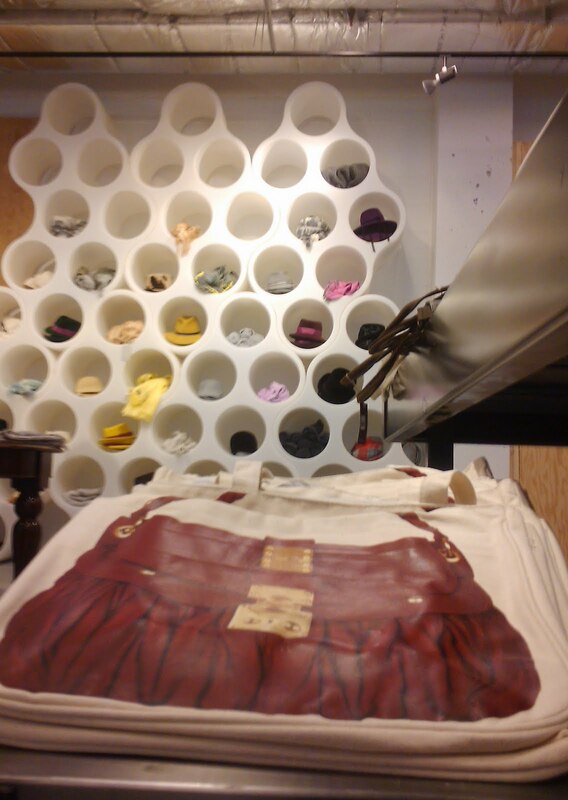 The result is a breathtaking two story shop that caters to the young professional. 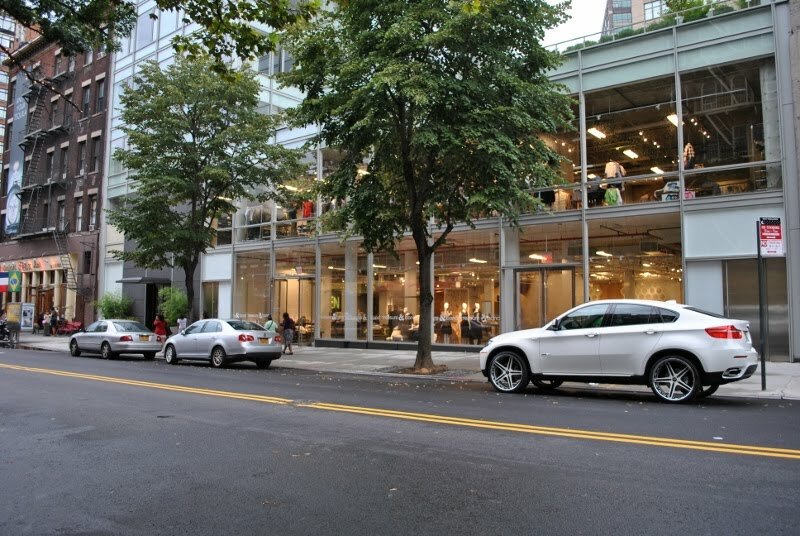 Like any good department store it offers a variety of goods, ranging from high quality housewares, books and candles, to kids clothes by Peek, and adult collections from Rogan, James Perse and Vince, to name a few. 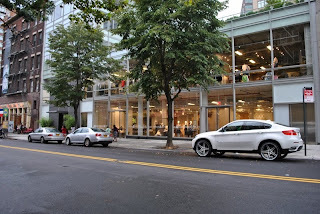 When you arrive at the space to a huge building, with a glass storefront, allowing you to see the whole store in its entirety. 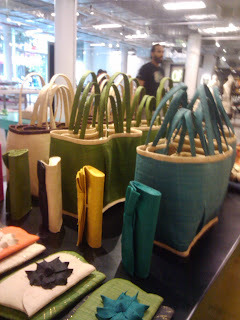 A rather simple approach that fits in with the aesthetic of the store. Being constantly sparse but never feeling empty. The first floor is a collection of tables housing various items. One section is clearly dedicated to housewares, where you can find monkey candelabras, and beaker vases, and glass water bottle carafes. Another houses totebags with whimsical screenprints of handbags. The accessory equivalent of a self-reflexive film. There are also jewelry cases which give you a wide range of unique pieces, some with absurdly sized quartz stones, to statement necklaces, and down to simple bracelets with subtle details. Against the back wall is a honeycomb fixture in stark white stuffed with different scarves and hats the all fall in the unisex category. 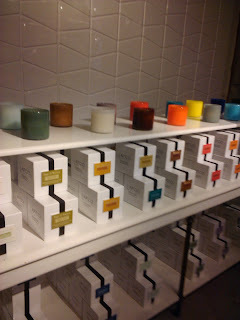 Tucked in a corner is a collection of designer candles, which is flanked by a small but selective assortment of books. The kind you would expect to litter the modern intellectuals coffee table, offering up irony and humor along with design and fashion. 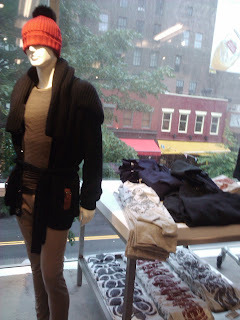 Think more Bookmarc and less Urban Outfitters childishness. Before we head upstairs I have to mention my two favorite pieces, one an umbrella with a katana blade handle, easily the most badass umbrella you're likely to find, and two, the softest, coolest throw blanket I've seen made by Design House Stockholm. The blankets come in a variety of different colors and each have an accordion effect that would seemingly be in a paradox with the amazing softness of the material. Up a small flight of stairs we walk straight into the kids department, which consists of clothes by Peek. Peek offers up fashionable alternatives to your standard children's fare. 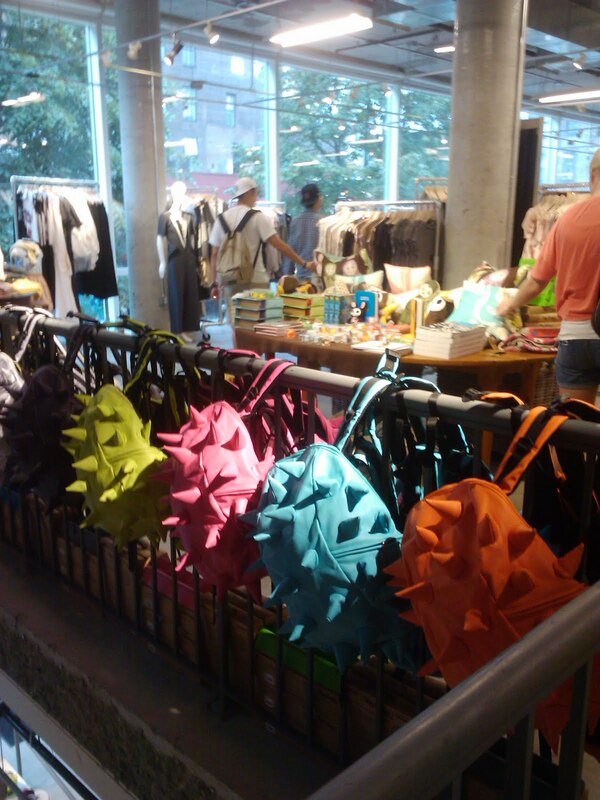 There are also spiked backpacks, and some books and trinkets for the little one. Again like everything else it is all expertly chosen to give you the right amount of choices without losing any quality or cohesion. 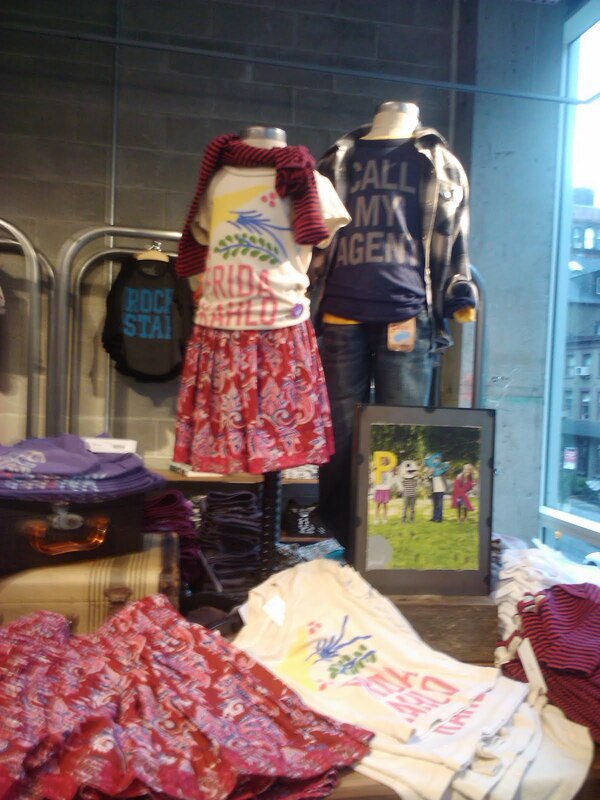 The adult collections represent a similar ideology as the rest of the items in the store. They offer simple high quality pieces made with subtle features. Whether it's the simple brilliance of a James Perse t-shirt, to the classic elegance of limited edition Levis. They offer a variety of options that would easily fit in any city dwellers wardrobe and still act as powerful fashion statements. Chunky sweaters with spectacular buttons, shoes made of recycled material, as well as a healthy selection of bold pattern dresses and enough variations on slouchy ts to fill all your weekend needs during the fall. Everything flows together naturally, and not one piece feels out of place next to another. Rather it is very focused on offering up accesible items that are still very fashion forward and something different than you'd find at a normal retailer. This permeates through each section of the store from the glassware, to the bedding, to the accessories, to the clothes. Everything has character and a sense of humor without being offensive. 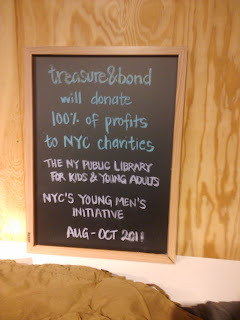 The store has a laid back feel as you stroll through picking your knick knacks and fancy scarves, knowing that as you purchase your brand new scented candles and porcelain take out trays that you are both making your house fabulous, you are helping the New York public library at the same time. One last thought - seriously an umbrella with a katana blade handle, can you imagine actually being an urban samurai....kinda.